Paris Pastry: A Boo-tiful Halloween to you! A Boo-tiful Halloween to you! Owl Oreo cupcakes, recipe here, & Nightmare Before Christmas cupcakes, recipe here. 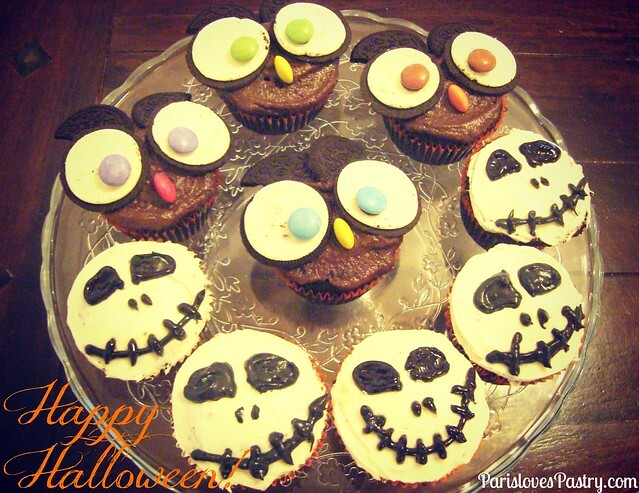 wonderful cupcakes...looks delicious and tasty too... happy Halloween.. The cakes are all so amazing...this is creative,and with beautiful designs,i'm guessing its too yummy! !